We are pleased to announce our first official game since the start-up of the club in February 2009. It will be a match with the Chongqing Foreign Trade & Economic Relations Commission (COFTEC) on Saturday June 20, 2009 09:00 �C 11:00 a.m. The match will be held at the High Science Sports Center (Gao Ke Yi Yu Zhong Xin), close to Jinke Hotel and Bai Lin Park. 高科体育中心，北部新区高新园黄山大道东段201号（金科酒店附近，中华十二舫、重庆农业大厦旁边）. A post-game celebration will follow match. A barbeque will feature grilled hot dogs, beers and soft drinks. Club members, COFTEC, their families and members of the press are invited to attend. Players and board-members will make themselves available for interviews. The celebration will include a “water balloon fight” to have fun while keeping everyone cool. 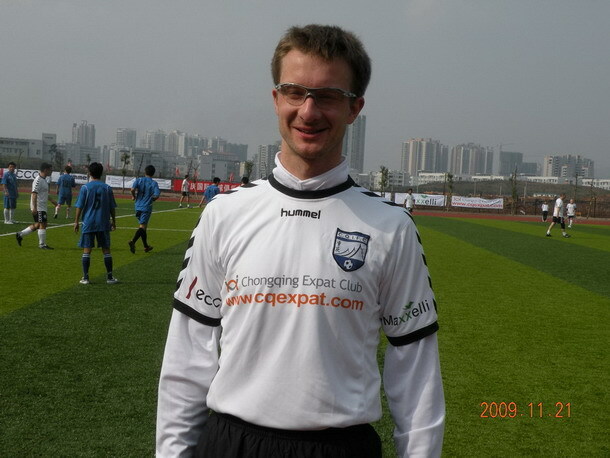 The Chongqing International Football Club provides camaraderie and physical fitness for Chongqing residents from abroad and promotes friendship between Chongqing sportsmen and citizens. The Club was established in February 2009. 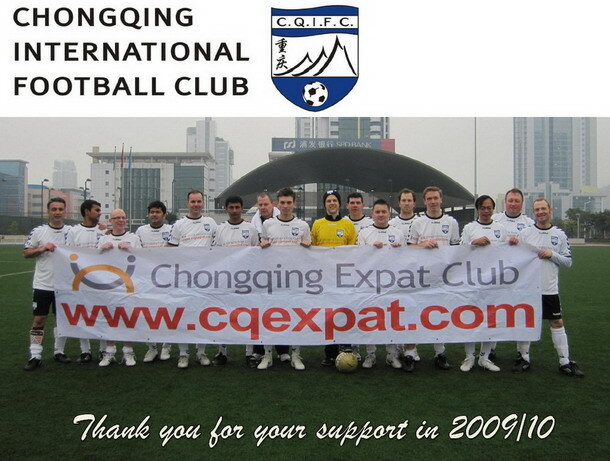 We thank our official CQIFC sponsors: The Chongqing Expat Club, Ecco shoes and Hummel sports and fashion apparel. 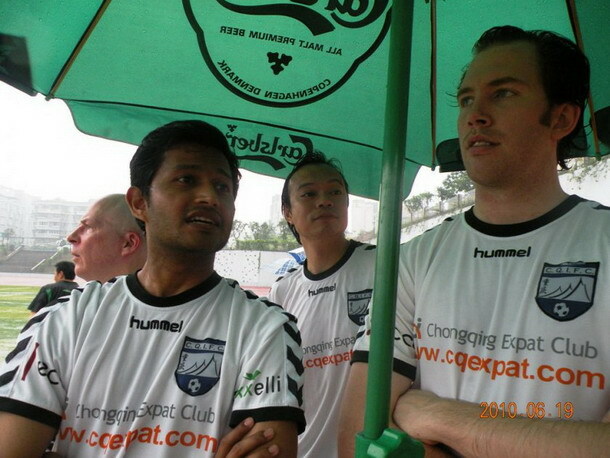 Friends of the club include Carlsberg Beer and Intercontinental Hotel of Chongqing. Chongqing International Football Club matches and practices are held Saturday mornings. Regular play will resume September 5, 2009 after a summer break during July and August.